I find it incredibly hard to believe that I’ve been living in Shanghai for the past three years. I know it’s terribly cliché, but it seriously passed by in the blink of an eye. 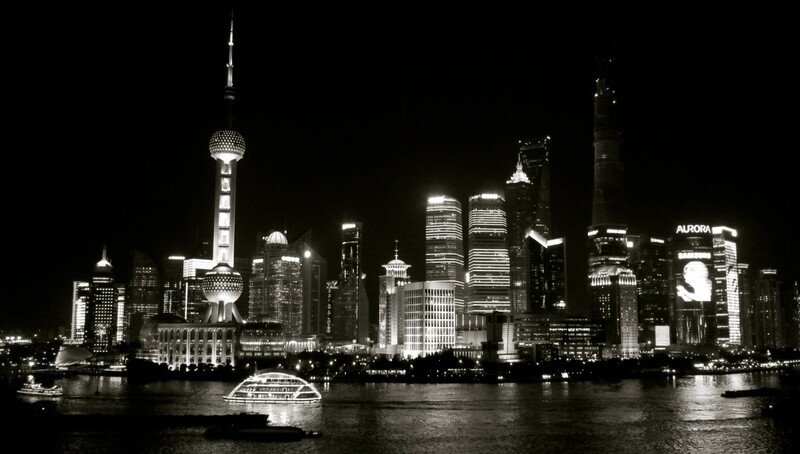 I’ve always wanted to live and work in Shanghai and it was my ultimate goal post-MBA. I’m incredibly happy and grateful for the experience and will miss this city. After being abroad for four years, I’m heading back to the U.S. and returning to the Bay Area. The food scene in Shanghai is intense and it’s always changing. Due to the competitive restaurant industry (and also changing city laws), places are constantly opening and closing. Despite living here for several years, I feel like I only barely scratched the surface. Before leaving a city, I try and create a food guide, much like my 100 Things to Eat in San Francisco Before You Die, 50 Things to Eat in Paris Before You Die and 25 Things to Eat in Hong Kong Before You Die. In continuing with the tradition, I drafted a list for Shanghai. Paul Pairet’s Mr & Mrs Bund is one of the most buzzed about restaurants in Shanghai. After being in Shanghai scene for over 7 years, they renovated the restaurant last year and it’s was definitely a welcome update to the old red and green scheme. With over 200 offerings on the menu, it’s definitely overwhelming to order. Not everything is a hit, but there are some standout dishes. This post basically summarizes three different meals that I had. My mother and I love foie gras and can’t resist it when it’s on the menu. She ordered the foie gras mousse and I ordered the seared foie gras with pomelo. Out of the two foie gras dishes, I actually enjoyed the foie gras mousse more. Nothing was wrong with my plump and rich seared foie gras. It was cooked perfectly with a nice caramelization and the citrus from the pomelo helped cut the fattiness. But the foie gras mousse was unique and definitely a highlight. The mousse is cold and smooth and topped with a raisin and hazelnut crumble. You mix everything together and I really loved the contrast of the crunchy granola with the creamy foie gras. It’s very easy to slather it all over the bread and granny smith apple slices. For our mains, I ordered the black cod truffle new meurniere and my mother ordered the pork chop. The pork chop was disappointing and wouldn’t need to be ordered again. While it was tender, it was really lacking flavor and needed some salt and pepper. We weren’t huge fans of the caper sauce that accompanied it. While the pork was meh, the black cod was mind-blowing. The fish is flaky and cooked perfectly on top of Paul Pairet’s delicious mashed potatoes (full of butter). What makes the dish is the sauce. The creamy truffle sauce came on the side and it’s fragrant without being overwhelming. The extra sauce came in handy to pour over the tasteless pork chop. Located in the south of China, Yangshuo is just a beacon of beauty with gorgeous mountains ranges and flowing rivers. Besides visiting Beijing and Xi’An, Yangshuo is now going to be at the top of my list when I recommend places to visit in China. It was such a nice break to leave city life in Shanghai and escape into nature. As I mentioned in my Guilin post, the top thing that you have to do is take the Li River Cruise from Guilin to Yangshuo. This 5+ hour tour gives you a once in a lifetime view of China’s most breathtaking scenery. It’s so iconic that it’s even on the back of the 20RMB bill! I can see how this has been the inspiration for so many artists to paint and draw on long scrolls. The cruise takes you to a port that is about at 15-20 minute walk away from Xi Jie 西街 (West Street), which is basically Yangshuo’s downtown. Yangshuo’s most famous cave is Silver Cave. Although it is larger than Guilin’s Reed Flute Cave, I actually prefer Reed Flute. I felt that the lighting in Reed Flute Cave was done better and it was more impressive. So if see Reed Flute Cave, then you can pass on visiting Silver Cave. Sukiyaki is one of my favorite dishes and whenever I see it on the menu, I’m always tempted to order it. I love sukiyaki because the broth is slightly sweet from the soy sauce, mirin and sugar base. When Austin Hu could not stop singing the praises of the sukiyaki at Ri He 日和, I knew that I had to try it. Located a little further in Gubei, Ri He (4th floor of 130 Ziyun Xi Lu; 紫云西路130号4楼 ) serves sukiyaki, Japanese hot pot, sashimi and a variety of other dishes. The star of the restaurant is the wagyu beef sukiyaki. For 588 RMB, you can order the 2-person sukiyaki set. This includes thinly sliced beef with various levels of marbling from A2 to A6, pork belly, tofu, vegetables and udon noodles to end the meal. The meat is absolutely incredible. With all the fattiness, it just melts in your mouth. It’s hard not to savor every single bite. Ri He’s sukiyaki sauce is also amazing and I like how it’s not too sweet. Whenever I go to Ri He, I always feel pampered since someone handles all the cooking for me. Normally, I’m wary of eating sashimi in Shanghai, but Ri He’s fish is incredibly fresh and safe to eat. You can ask what the local catch of the day is and they usually always have fatty tuna belly. There are also other small eats like agedashi tofu. Our waiter also recommend their gyoza and beef pancake, which I’ll definitely have to try next time. The menu is completely in Chinese and Japanese so make sure to bring a friend who can speak and/or read Chinese. At the very least, you can open up online reviews and point to photos. The staff is incredibly patient and friendly so if you do end up struggling a little bit, I’m sure they’ll recommend dishes for you. I love the concept of a dessert bar and I am actually surprised that no one thought of opening one in Shanghai sooner. Originally from New York, Chikalicious (123 Xingye Lu; 兴业路123弄5号) is a two-story dessert bar. The first floor takes walk-ins and has a small selection of desserts, including crêpe cakes and seasonal desserts. However, the real magic happens on the 2nd floor where you can experience the 3-course dessert tasting menu (188 RMB + 10% service charge). Chef Maya and Chef Mauro are constantly changing the menu based on seasonal produce and you have to appreciate their creativity. On our visit, our meal started with a lemonade sorbet accompanied by honey thyme gelée. With the over 100 degree weather in Shanghai, this was perfect starter to cool us down. For our main courses, I ordered the NY-famed fromage blanc island “cheese cake.” This is probably the most ordered dessert at Chikalicious and often sells out every day. Served in a dish of crushed ice, this island cake is a cross between a foam and a mousse. It’s incredibly delicate and light with a very subtle cheese taste. It’s a very pure dessert and I like the hints of vanilla bean spread throughout the cake. My friend ordered the Japanese honeydew two ways. Compressed honeydew with mint was served with lemon foam, mint agar agar and melon sorbet. All the desserts are very light and are meant to highlight the natural ingredients. The honeydew flavor was bright and I loved the lemon foam. Eating the melon sorbet tasted like you were biting a piece of fresh melon. With each main dessert, Chikalicious recommends a wine/champagne tasting, which helps elevate the whole experience. Our petit fours included coconut marshmallows, pistachio biscotti and strawberry cake. My favorite was definitely the coconut marshmallow, which had a foam-like consistency and melted in my mouth. While upstairs does have table seating, I actually recommend reserving a spot at the bar. You get to watch all the dessert chefs in actions and it’s absolutely mesmerizing. If you’re lucky, you may even have a chance to strike up a conversation with Chef Maya or Chef Mauro. Chef Maya was incredibly sweet, smiley and talkative. She could sense our enthusiasm for her desserts and gifted us a mini yogurt panna cotta. We were so excited because, earlier, my friend had a hard time deciding between the panna cotta and the honeydew dessert. The yogurt panna cotta is served with fresh peach sorbet (that pink is the natural color! ), peach slice, dill agar agar and caramelized almonds. I really appreciated the crunch of the almonds and different textures in this dessert. The panna cotta was smooth, creamy with a nice sourness. The flavor from the peach was so intense and sweet. Reservations for upstairs is an absolute must and they’re open from 2:00pm-9:00pm (Wednesday-Sunday). If you can’t get a table upstairs, you can always sample the desserts from the café downstairs, which is open from 11am-11pm daily. On a separate visit, I sampled the seasonal Japanese yuzu cake at the café. This was literally one of the best pieces of cake that I’ve ever had. A layer of white cake is topped with yuzu cream filling, fresh whipped cream and pistachios. It was incredibly light and airy and full of citrus flavor, reminiscent of eating lemon curd. While we were talking to Chef Maya, she mentioned that they’re already making the next cake to replace the Japanese yuzu one. It’s good to know that anytime you go to Chikalicious, you’re bound to try something new and exciting.